businessgateways and Madayn signed an MOU to implement Madayn's certification system on the JSRS. An agreement to this effect was recently signed at Madayn's KOM headquarters by its CEO, H.E Hilal bin Hamad Al Hasani. 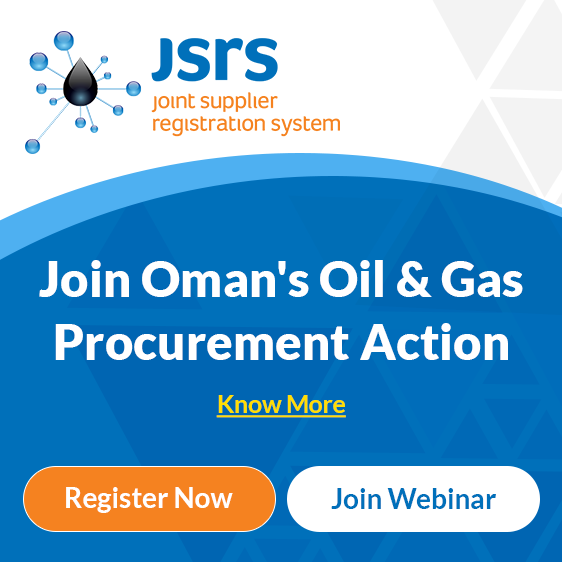 Business Gateways International (businessgateways) which, under a mandate from the Oman Ministry of Oil & Gas operates the Joint Supplier Registration System (JSRS), was represented by its Vice Chairman, Mr. Hafidh Saif Al Mahruqi. Through this agreement, Madayn will first be integrated on the JSRS as a Buyer and thereon will use the Madayn Supplier Certification System being developed on the JSRS by businessgateways. As a JSRS Buyer, Madayn will now use the flexible system of JSRS, which allows major Omani organizations create their own individual supplier certification systems, to build their own supplier certification system called the Madayn Supplier Certification System within the JSRS. Madayn’s initiative to launch its Supplier Certification System on JSRS is influenced by the thousands of JSRS Certified supplier companies (national and international) who are well classified to MOCI guidelines, with their compliances continually monitored to meet Oman’s national level procurement needs. Also supportive is the fact that JSRS Buyers can track and monitor their individual obligations to Omani SMEs, across their sub-contracting community. Madayn finds a direct synergy here by tapping into this premium pool of JSRS Certified Suppliers, to create its own certification system within the JSRS Platform. Madayn wishes to have its own pool of Madayn Certified Suppliers who will become its set of pre-qualified suppliers, to meet the long-term procurement requirements of Madayn's varied current and upcoming projects throughout the Madayn Industrial Estates in Oman. Existing JSRS Suppliers can directly register for the Madayn Supplier Certification process. Madayn Certified Suppliers stand to benefit in many ways including receiving direct procurement requests from various departments of Madayn . Once the Madayn Supplier Certification is launched in March 2019, Madayn will conduct its procurement activities only with Madayn Certified Suppliers on the JSRS.